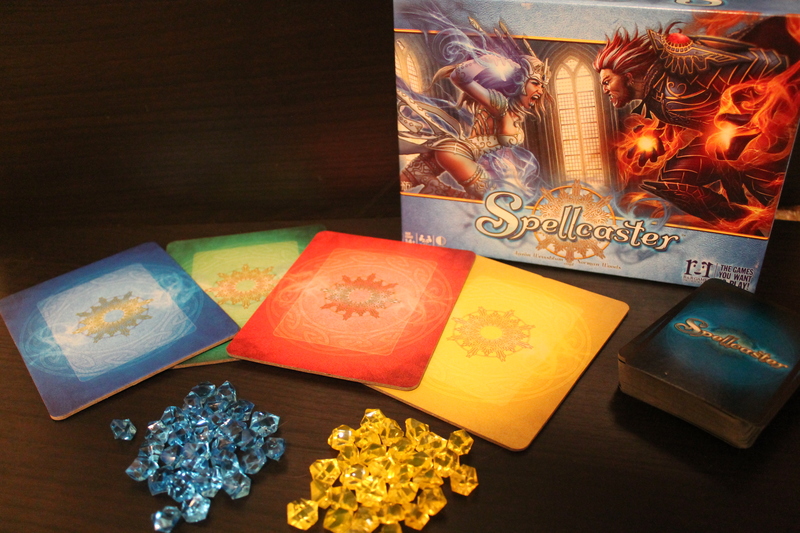 Friday Feature: Prove Your Magical Might With Spellcaster! Leave a Comment on Friday Feature: Prove Your Magical Might With Spellcaster! Looking for something awesome to do with your weekend?NYCityGuys has you covered with our Friday Feature! Every Friday, we’ll have a brand new recommendation– things to do, places to do, books to read, games to play, and more! For the Friday Feature this week, we’re giving you a look at an awesome board game that will surely deliver hours of entertainment on end– Spellcaster, by R&R Games. Here’s how it works: each player begins with three cards, two Sorcery Sapphires (the blue gems seen above) and ten Energy Crystals (the yellow gems, also visible in the above photo.) The object of the game is to either deplete your enemy’s Energy Crystals (health, essentially) to zero or acquire a total of fifteen Sorcery Sapphires. To do this, you use spells, found on the game’s cards. On each turn, you draw a card, and then can perform two additional actions (including drawing an additional card, playing a card, i.e. placing it on the corresponding color, and activating it.) Spellcaster can also be played by three or four players, with players splitting into teams to battle. We hope you’ve enjoyed our Friday Feature– stay tuned for more fun next week, and b sure to check out previous Friday Features if you liked this one! Previous Entry Monty Python and the Holy Grail Funko POP! Set Coming This November! Next Entry Kidrobot and Capcom Announce Kidrobot x Mega Man Capsule!